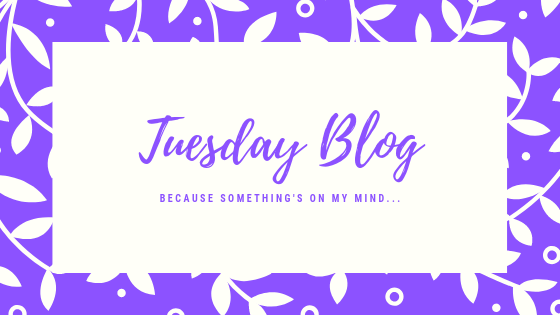 I know, Thursdays have been my go-to posting day for a while now, but between missing last Thursday's post (no thanks to the combination of a busy content writing work week combined with an eye flare-up) and things going on in the writing community at large, it felt like an extra post was necessary this week. Last month, I posted the first in a series of blog posts called "Science Fiction Through the Centuries". In that post, I talk about where I came up with the idea for the series and what I'm trying to accomplish with it, as well as sharing links to where works can be found. This includes places it can be located for free, so long as the copyright for the work falls under public domain. There aren't really words to describe how excited I was to work on this series. Digging into the history of something, doing research, is stuff I genuinely enjoy doing. Plus, I like to have my facts straight when it comes to posting on here. But things happen. And by things, I mean things in the writing community. Well, I can see why a lot of people have not heard a peep about it. Essentially, a Brazilian romance "writer" allegedly copied and pasted passages she liked from romances novels, gave them to ghostwriters to turn into a story that made sense, and published them. So far, passages have been identified from 85 different books by 36 different authors as well as a small number of news articles, recipes, and blogs (as of the time I sat down to write this post). You can read the initial blog post by romance writer Courtney Milan that got the ball rolling here. And book blogger Caffeinated Fae is updating the list of authors and titles that were plagiarized here. A ton of discussions have come up in the wake of #copypastecris, including ghostwriting, how to spot legitimate indie authors, and book piracy. It's the book piracy question that has given me significant pause when it comes to the future of the "Science Fiction Through the Centuries" series. Because while I'm doing the best I can to make sure I'm sending people to places where they can find legitimate copies of the works I talk about, I'm concerned that it will be seen as something else. I worry that people think I'm encouraging piracy, when that is the last thing I want to do. Don't get me wrong here - I love a good deal on a book, and I'll pounce on it if a fellow author has a free deal going, but I don't expect that to be the norm. Why? Because I know writing is a job, not just a hobby, and I think writers should be fairly compensated for their work. Period. So while I still plan to post the next part of the "Science Fiction Through the Centuries" series on Thursday, I do not plan to start on the following post right away. I'll be taking some time to think through my concerns about moving forward and make a decision about it from there.